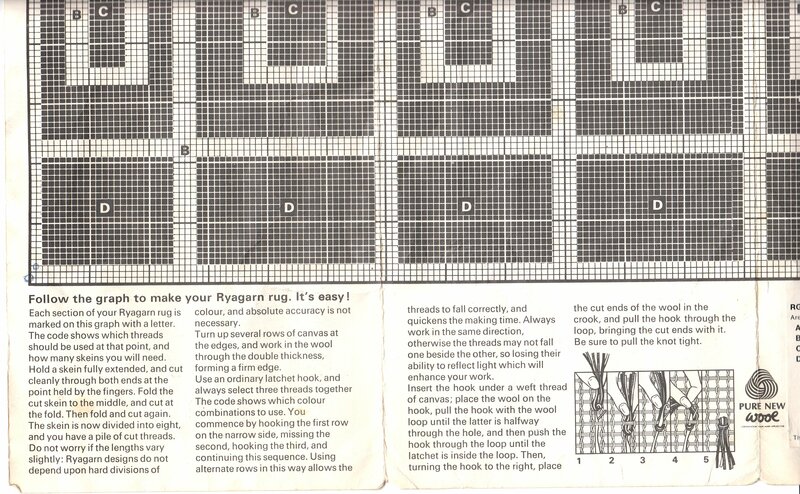 A rya is a traditional Scandinavian wool rug with a shaggy 1 - 3 inch pile of about 1 to 3 inches. Althoug rya (the name of a village in southwest Sweden where these were made) translates to "rug," it originally referred to a coarse, unspun wool bedcover with a knotted pile used as an alternative to sleeping furs. Like furs, the pile side was worn inside, against the person. Ryas became lighter in weight, but still provided excellent insulation. 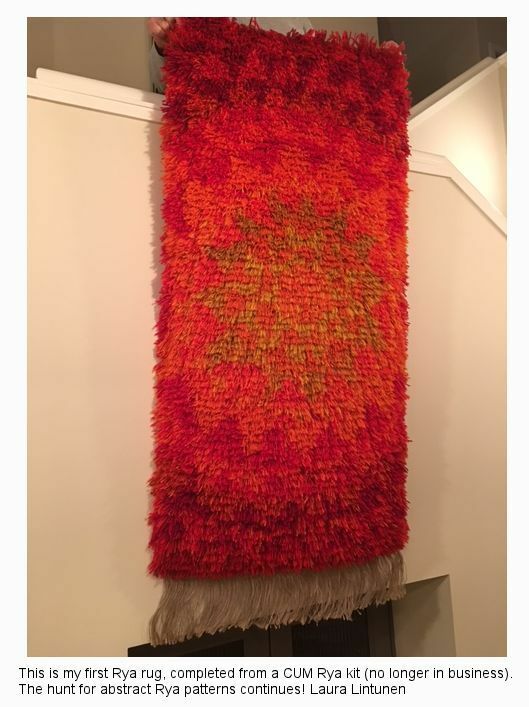 Coloured ryas made from processed and dyed wool became popular among the higher social classes and began to be used as rugs and wall-hangings. The shaggy pile lends itself to bold, colourful patterns like Rothko apaintings. 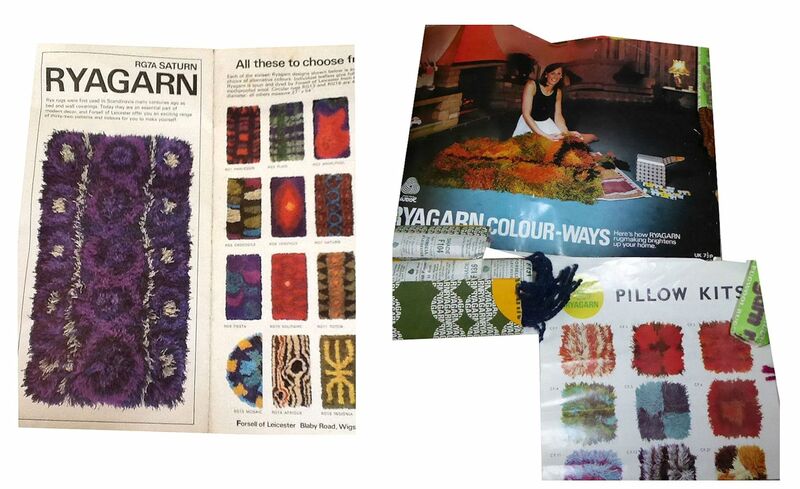 In the late 1960s and the 1970s, Scandinavian rya rugs were becoming popular in the USA and UK; shag-pile carpet was trendy and this led to rya rug kits being marketed. T Forsell & Son Ltd of Blaby Road, South Wigston in Leicester registered the Ryagarn wordmark in 1965/6 in the yarns and threads category. 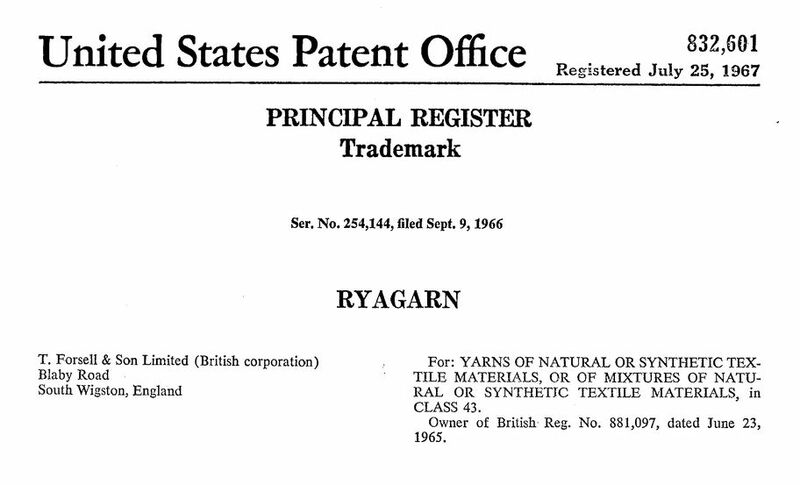 This trademark covered "yarns of natural or synthetic textile materials, or of mixtures of natural or synthetic textile materials. However, the rya trend in Britain wasn't long-lived and the trademark was allowed to expire in 1987. Forsell's Ryagarn is a 2-ply yarn made specifically for the shaggy rugs that originated in Finland and Scandinavia. The yarn had a nice twist that gave each strand a rippled texture and was either 100% wool or a mix of 80/20% wool and acrylic. 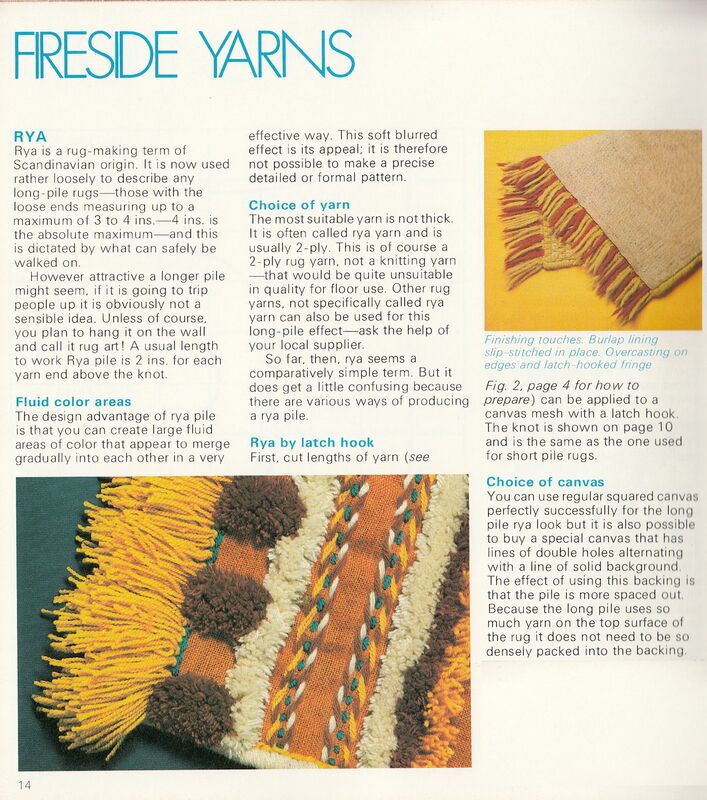 You used three strands of yarn per hole, either 3 of the same colour or mix of colours. 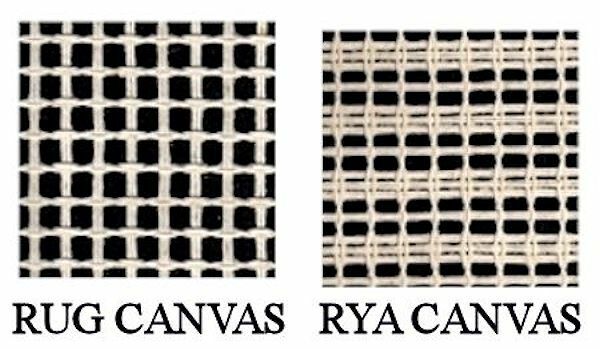 Although Forsell’s rug kits seemed to use ordinary canvas, rya canvas uses alternate holes and blocks off the unused holes. This shaggy look is best with simple or abstract designs where colours can blend into each other. There’s not much information on their rug kits. T Forsell & Son Ltd mainly produced cones of wool packaged for knitting machines, which were becoming popular in the home in the 1970s (my nan had one in the mid-to-late 1970s). They later became Forsell & Littleton (UK) Limited ("knitwear and textiles" category; Wholesalers Of textiles) which was registered in 2000; its founding director being Tsd Nominees Limited. Forsell & Littleton (UK) Limited was dissolved in December 2005. Their most popular products in the 1970s seem to have been cones of Forsell Shamal 4 ply, and cones of 1 ply botany wool. 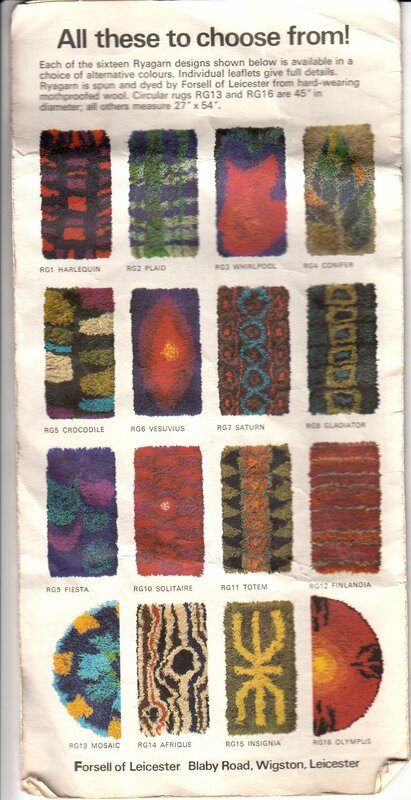 As far as I can tell, rya was their only foray into the home rug-making market. 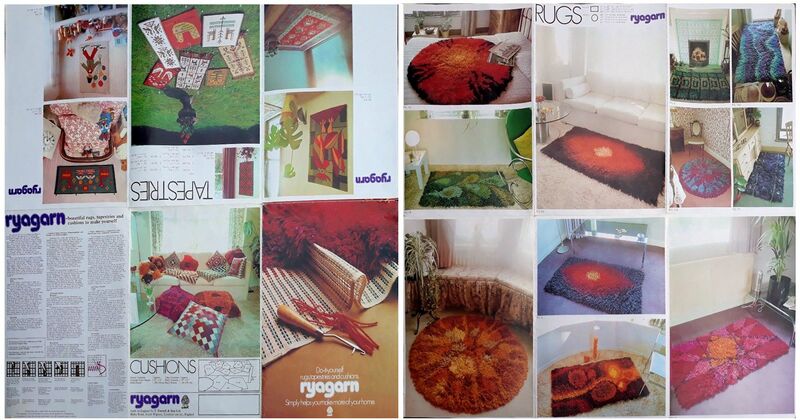 Below is a shot from the Publishing Innovations Ltd (London) 1977 booklet "Rug Making - Creative Patterns" that illustrates British reservations about Scandinavian shaggy rugs - they were viewed as a potential trip trip hazard! 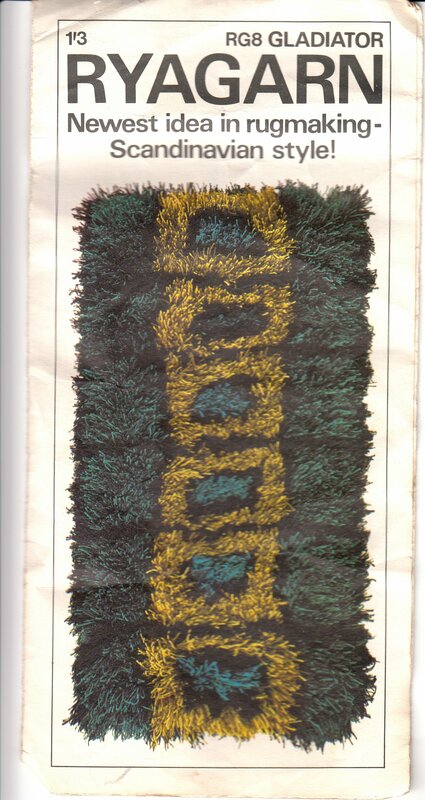 Below is a rya rug, this one not by Forsell, but by C.U.M.